At BoxFox, we help thousands of retailers grow their businesses and improve their bottom lines. Here are a few tips and tricks when it comes to managing slow-moving, overstock inventory. When there seems to be insufficient demand in your local market, selling a product online can drastically improve your chances of making a sale. Many retailers utilize Amazon or eBay for reaching a wide audience of consumers. Alternatively, some choose to utilize location-based platforms like Craigslist or OfferUp to help drive more traffic to their store from local audiences. 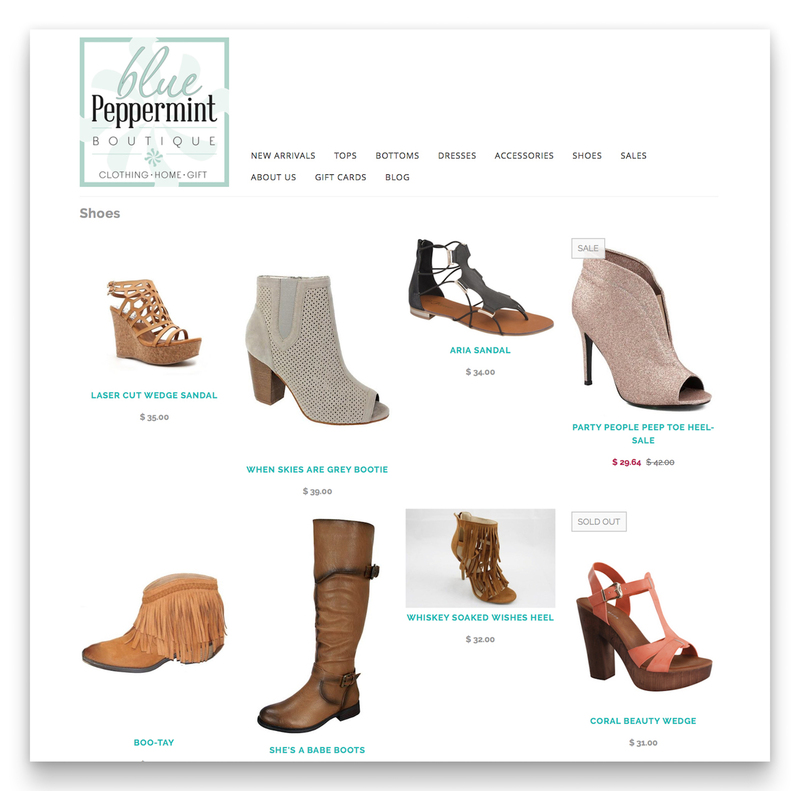 See how the small local Blue Peppermint Boutique establishes a great looking ecommerce presence, expanding their potential sales beyond their typical brick and mortar environment. Keep in mind that selling online comes with a cost. You are likely to encounter other sellers of the same product, which can drive the purchase price down. In addition to listing fees, you will incur the cost of shipping and the possibility of returned items. Be sure to be familiar with your vendor agreements, as some have strict policies around selling direct to consumers through online channels. When your current customers aren't interested in an item, reuse that product in creative way to bring new customers to your store. Position the product as a "free gift" for first time customers, or as a special "thank you" gift for customers who bring a friend to the store. Promote your deal through your social media channels and customer email list. Consider pairing it with a special sale or new product promotion to drive additional interest. Keep in mind that you are taking a full loss on products used as gifts, with the hope that it will bring new customers to your store. Offer discounts for customers who are willing to buy multiple units of your overstock inventory. When buying wholesale, you receive a volume discount, so if you're stuck with a poor performing product, offer your customers the same. An example could be, 20% off 2 or more items or 40% off 5 or more items. Bulk discounts will encourage interested customers to purchase more, even if they did not originally intend to do so. Beware of resellers who may try to take advantage of purchasing large quantities of an item and reselling in your own market. If a customer tries to purchase an unusually large volume of a single product, inquire about their intent, as they may become your newest competitor. If you are stuck with a slow-moving item, try pairing it with another product that may be flying off the shelves. It's best to choose complementary items. For example, if swim suits are selling, but your flip flops are not as popular, offer 40% off a pair of flip flops when a customer purchases a new swim suit. Try placing your overstock items near your register, as it makes for an easy upsell at the time of check-out. Everyone loves a deal, and it's hard to say no when customers only have a moment to take advantage of the offer! For retailers who want to get cash for their overstock inventory, BoxFox offers a B2B marketplace where retailers can sell their underperforming inventory to another business, in a different market, who may have a better audience for the product. Selling overstock merchandise in a single transaction is a great way to minimize the headaches and effort that is often required to sell a slow-moving product in your store. There is no cost to post inventory to the BoxFox marketplace. You only complete a sale if you are happy with the offers you receive. Since BoxFox provides shipping labels and manages the payment through escrow, it's sure to be a smooth transaction. Our readers are always looking for creative ways to manage their inventory. 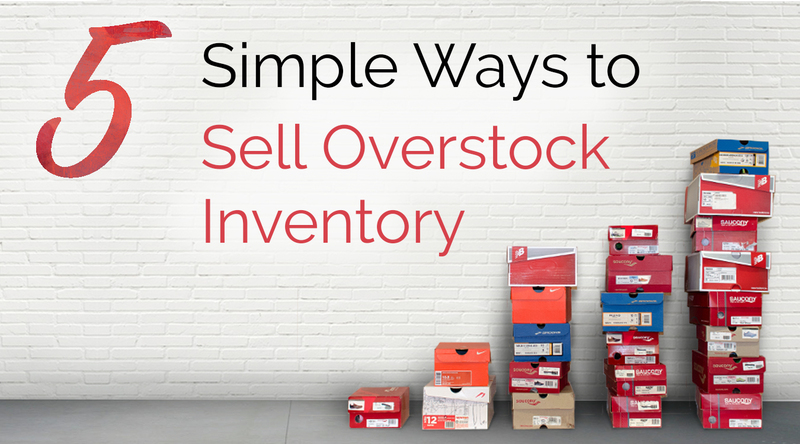 Please share any tips or creative methods for selling overstock inventory in our comments below!